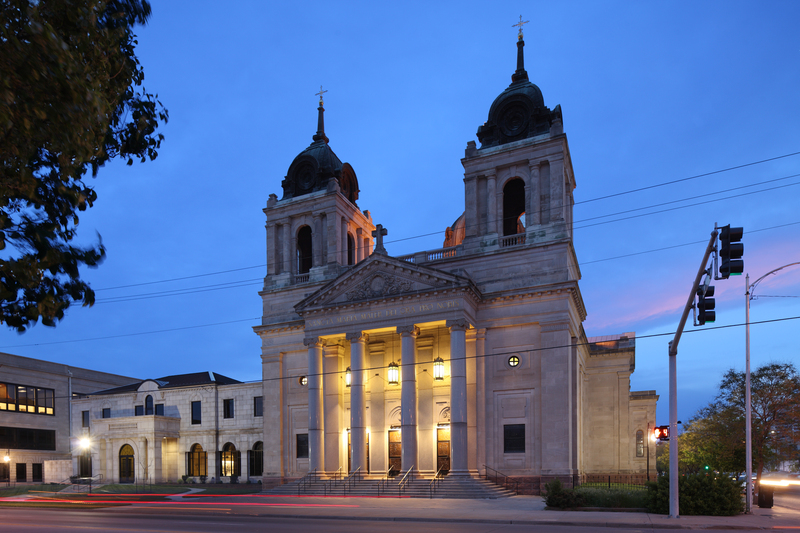 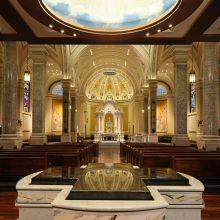 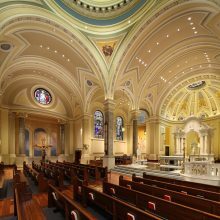 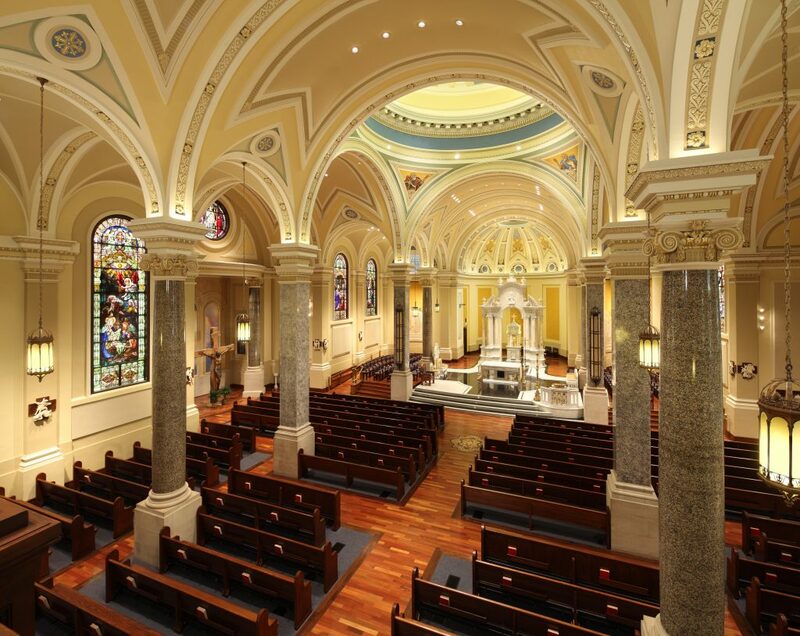 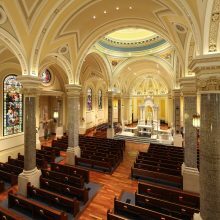 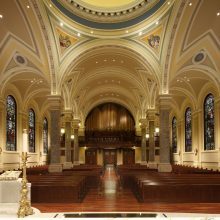 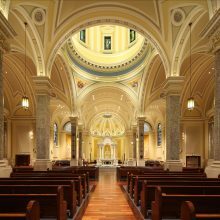 The Cathedral of the Immaculate Conception, also known as St. Mary’s Cathedral, is a Catholic cathedral in Wichita, Kansas, United States. 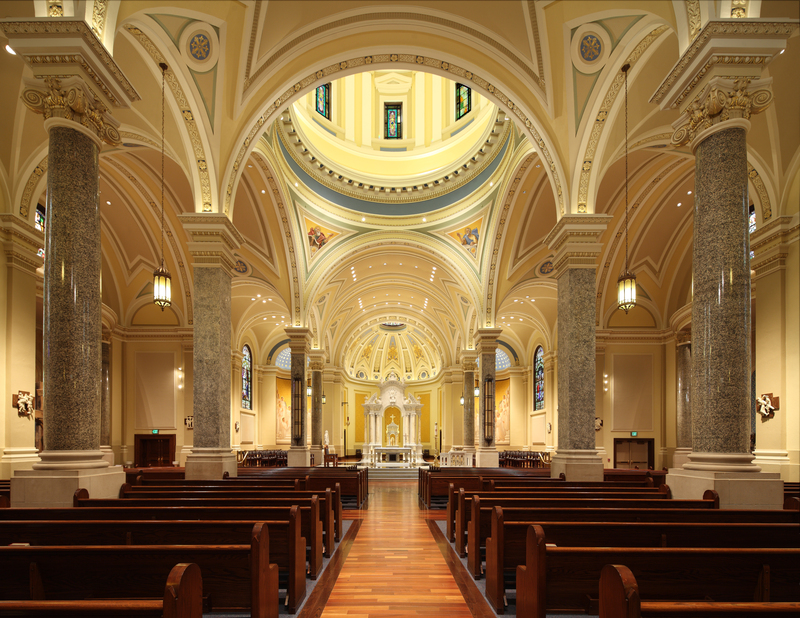 The interior of the magnificent Cathedral of the Immaculate Conception, designed by Emmanuel Masqueray, was completed in 1912 and has undergone numerous painting and liturgical artistry campaigns over the years. 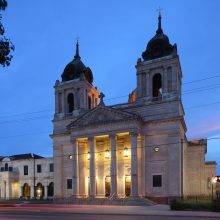 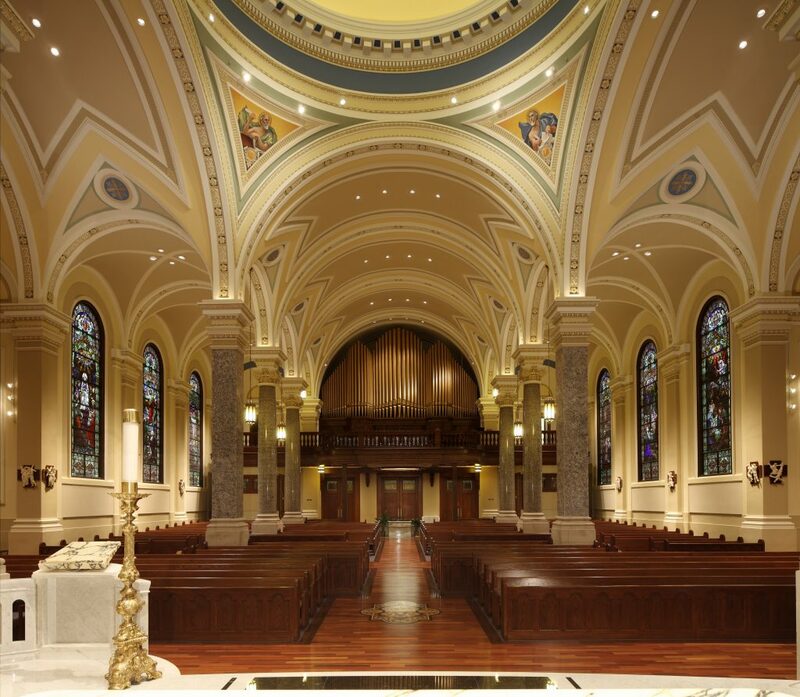 Cathedral celebrated its centennial in 2012 when EverGreene started restoration work. 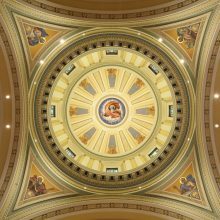 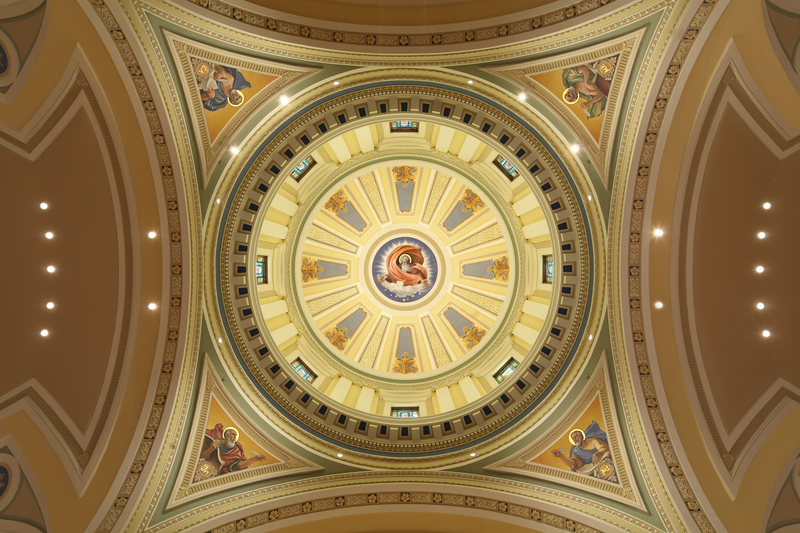 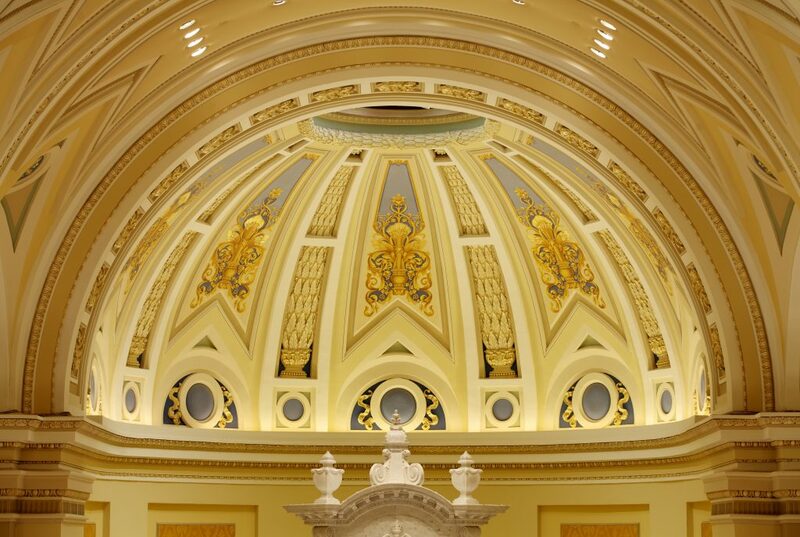 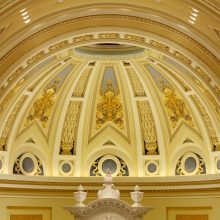 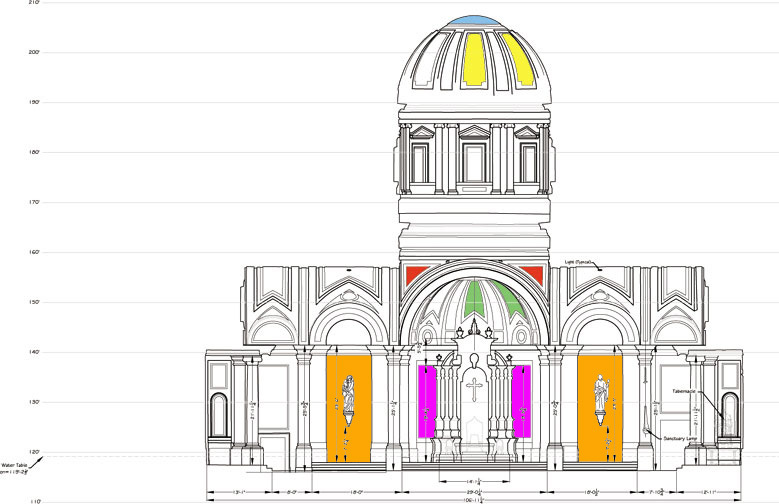 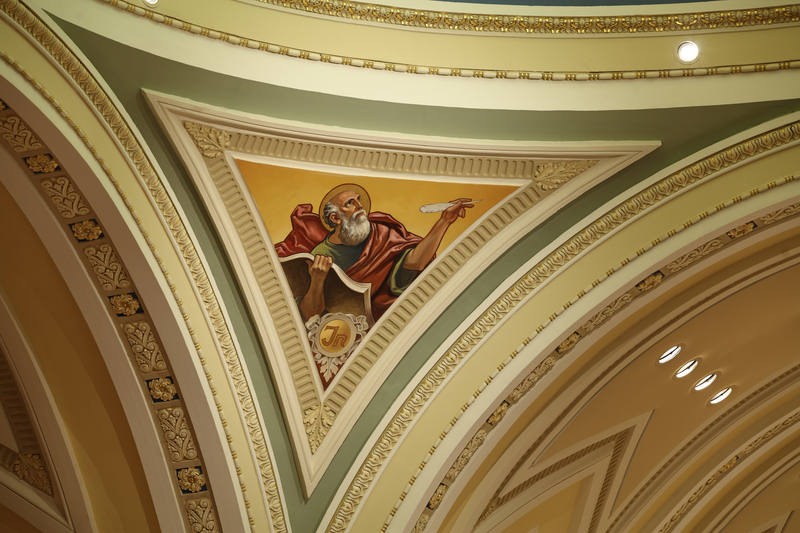 The previous paint scheme and dome murals, including pendentives, did not reflect the original design reflective of that time and needed restoration. 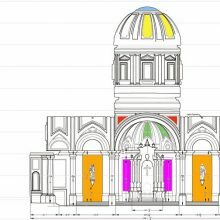 Historic investigation and an extensive concept and design process led to the creation of a decorative scheme inspired by historic photos. 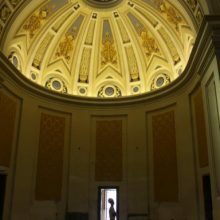 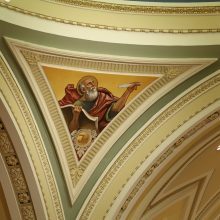 From the dome, God the Father benevolently welcomes. 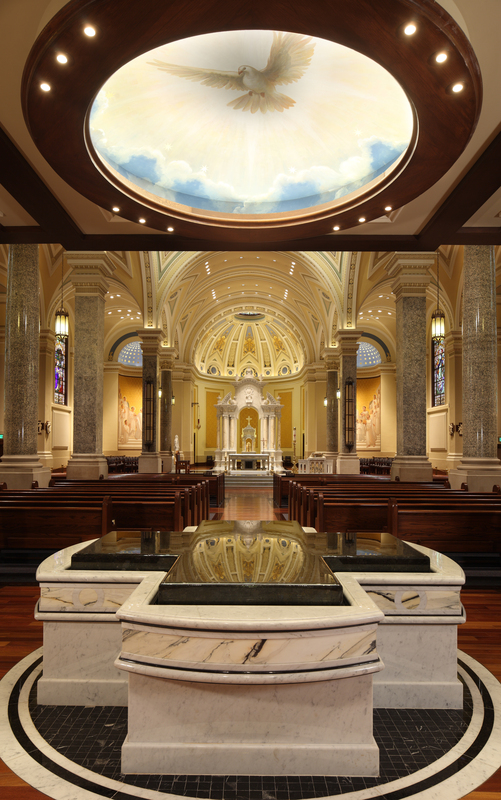 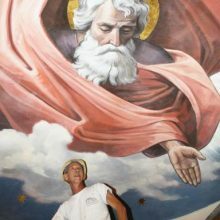 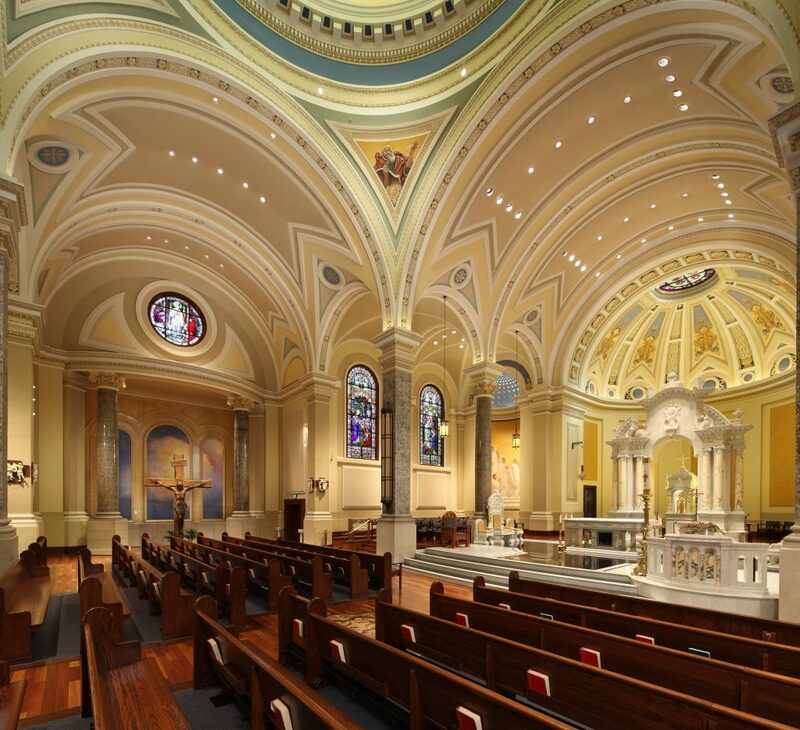 Pendentive murals of the Evangelists, a Holy Spirit in the baptistery and an Easter sky mural were also designed, created and installed by EverGreene.